Stories. Stories can be true. Stories can be fiction. 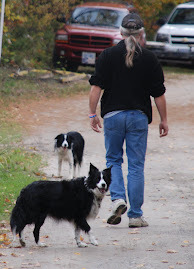 If true stories are told often enough, over a span of time, they often become fiction. They can become a myth. One such story was the Battle of Thermopylae, where, among other things, 300 Spartans held off thousands of Persian warriors until finally succumbing to the numbers. This is a true story but over time it became mythologized. Graphic artist/writer Frank Miller, a man who may well be a genius, wrote a book about the battle, well a book inspired by the battle. A book which I have never read. 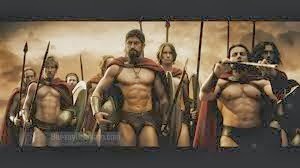 But eventually a movie was made based upon the book .. a movie where some of the Persians were monsters, there were witches and every Spartan warrior had such well defined six packs I'm sure their wives washed their clothes on their stomachs. 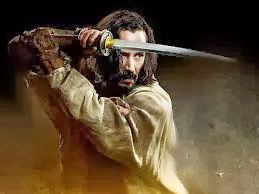 Now we have the movie "47 Ronin" starring Keanu Reeves. A movie already on its way to becoming a huge financial failure and one for which I have yet to read a positive review. Like the Battle of Thermopylae, the story of the ronin is based on history, Japanese history of course, and has become so beloved there that it has entered into myth. Essentially it is a story of honour and vengeance: A medieval lord is tricked into offending a high court official, perhaps attacking him, an error so massive that he is forced to commit seppuku, ritual suicide. The lord's samurai become ronin, masterless, scattering across the land in shame. They want the shogun to believe that they have lost their honour but in fact it is a ruse; for two years they plot their vengeance, defeating the court official in a legendary winter battle. And although the ronin were justified in their quest for vengeance, in that their lord had been set up, they have no choice to eventually kill themselves. This movie, although it has the requisite spectacular battle scenes, focuses very much on the questions of honour and loyalty. 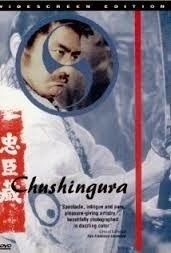 Most of the movie is an intense drama of manners, basically, where the code of bushido is shown as entirely unyielding, even when treachery is involved as in the case of the lord, or when vengeance is justified as in the case of the ronin, the only possible outcome is death; and death by seppuku is seen as a kind of grace. This is almost like a tale of two movies. Great liberties have been taken with the original story, that goes without saying. But we still have a benevolent lord betrayed by an evil lord, we have the seppuku, we have the samurai forced to become ronin, and we have the vengeance. As I mentioned, the acting in this movie was very strong, the cast is mostly Japanese, in fact Reeves is the only gaijin in the movie. The cast is very very strong, with standouts being Hiroyuki Sanada as the leader of the ronin, Tadanobu Asada as the evil lord, Min Tanaka as the wronged lord and Ko Shiasaki as his daughter. The scene of Tanaka's suicide is very powerful, virtually void of dialogue as well as gore (a departure from most Japanese movies) and filled with the stoic, repressed emotion, that only a Japanese actor can seem to achieve. 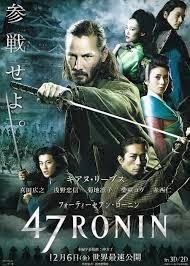 47 Ronin is almost like two movies: The tale of the ronin, bound by their codes to both seek vengeance and to pay the price for it and the story of Kai, an outsider who rejected the magic of his youth and finds his place in the world by using it. The two stories don't always mesh perfectly but the strong acting and the beautiful cinematography hold it all together. 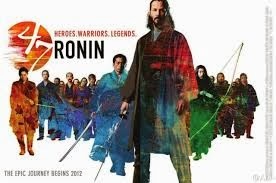 I still don't think the story of the ronin needs witches and dragons but this movie still maintained the rigid integrity of the original; men trapped in this code, a sense of honor that seems designed to lead them to ruin and a sense of loyalty that is blind and powerful and beautiful in its determination. 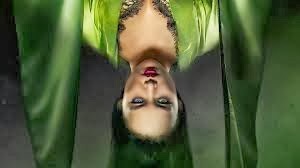 I also very much respected and was surprised by the fact that this fantasy movie remained true to the ending of the original story. The movie "300" was box office gold and has spawned a sequel. 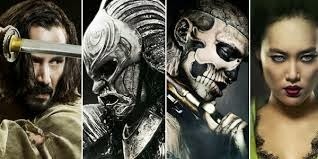 "47 Ronin" seems fated to sink quickly and leave an oil slick on the water .. and there is no honor in either of those fates.